HQE® is a voluntary scheme applicable to building construction and renovation. It reflects the wishes expressed by the contracting authority to control the impacts of the building on its environment and future users throughout its useful life. It provides for the formal integration of environmental goals focused on the 14 targets* defined by HQE® Association. 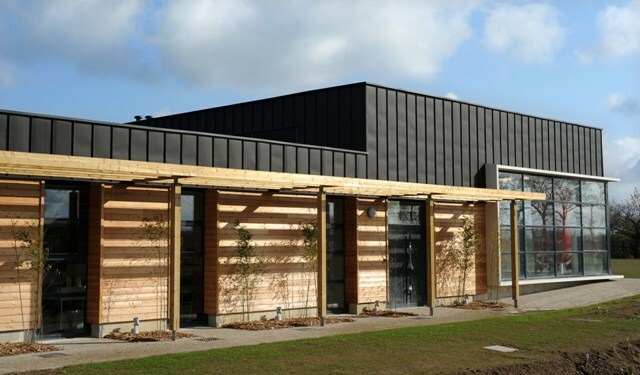 As an HQE® pioneer, the Saur Group has used a number of its pilot operations to contribute to adapting the French ‘NF Bâtiments tertiaires – Démarche HQE®’ standard for service-sector buildings for use with the kinds of industrial building used by the water industry. As part of this contribution, Stereau has designed and built a model plant that will act as the reference point for preparing the future water industry HQE® construction benchmark: the drinking water treatment plant at Bois-Joli in the Ille-et-Vilaine region. Depending on the goals set, an HQE® plant may generate electricity, heat or even reusable water. It must therefore be economical in terms of operating costs and become a source of energy. Stereau drinking water and wastewater treatment processes are recognised by AFAQ-AFNOR for their eco-friendly design.